Last week the Justice Department settled the case against Century. A total of 9 hospitals and Century must repay Medicare $7.5 million. The EMT who filed the case stands to collect over a million dollars simply for coming forward. If you are wondering how hospitals can be held responsible for the misdeeds of a small ambulance company, keep reading. We suspect that Jacksonville isn’t the only area of the country where hospitals use ambulances like glorified taxis. Shawn Pelletier worked as an EMT since 1998. Between 2004 and 2006, he worked for Century. Shawn claims that on numerous occasions, he witnessed Century submit falsified claims to Medicare. As a general rule, neither Medicaid nor Medicare will allow ambulatory patients to be transported by ambulance. A patient can hire an ambulance out-of-pocket but Medicare won’t foot the bill. 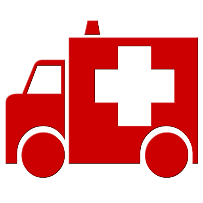 Non-emergency patients can be transported by ambulance only if a doctor or nurse signs a certificate of medical necessity verifying the patient needs to be transported by ambulance. As best we can tell, Century Ambulance and the nine effected hospitals became too cozy. Either hospital personnel would sign the necessity forms or a Century employee would forge the needed records and permissions. Although the hospitals didn’t directly benefit from Century’s false billings, they remain responsible for the practice of signing needs forms. The Department of Justice says the hospitals also indirectly benefited by speeding up discharges. You can’t fill a hospital bed if a patient is still in it waiting for a ride. For their part, the hospitals all vehemently denied any wrongdoing. The Wall Street Journal reports that hospital operator Baptist Health claimed it did “nothing wrong,” yet paid $2.89 million to avoid the “inconvenience” of litigation. To the extent other hospitals are doing this, many more whistleblower opportunities exist. The Justice Department believes that Medicare pays a quarter billion dollars per year for unnecessary ambulance rides. The Medicare fraud epidemic got so bad last year that the government issued a moratorium of new licensing new ambulance services in Houston and Philadelphia. As noted above, whistleblowers in Medicare fraud cases receive a percentage of whatever the government collects from wrongdoers. Healthcare workers with inside information about Medicare fraud are eligible to receive up to 30% of whatever the government receives. If you are interested in becoming a whistleblower and have inside information, give us a call. Although Medicare offers a toll free tip line, only whistleblowers that file a federal lawsuit under the False Claims Act are eligible for awards. Calling a tip line won’t get you paid.